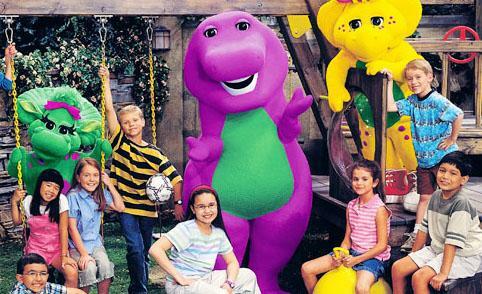 We owe everything to “Barney & Friends” for giving us Demi Lovato and Selena Gomez. Never forget that. Fifteen years ago, Lovato and Gomez became fast friends while waiting in line to audition for a spot on the “Barney & Friends” cast roster. That one day in Texas changed everything--not just for them, but for the world of entertainment. Both Lovato and Gomez nabbed roles on the children’s series, making their entrances during the seventh season of the show in 2002. The future “Camp Rock” star had her “Barney” debut, and acting debut in general, on Sept. 2, while the future “Wizards of Waverly Place” star followed with her own entrance on the show on Sept. 4. The rest, as everyone says, is history. Fifteen years worth of history. But it’s always important to go back to where it all began and remember what started it all. For Lovato, that’s the first episode of the seventh season of “Barney & Friends,” titled “All Aboard!” She played Angela in the episode, and continued to portray her for nine total episodes of the series from 2002 until 2004. Gomez, on the other hand, kicked off her “Barney & Friends” career with season 7’s third episode, titled “Tea-riffic Manners.” Her character’s name was Gianna, and she played her for 13 episodes, lasting in the role until 2004. It didn’t matter how many episodes the girls were on the show for because they were just that memorable, to both viewers and the show’s production crew. To celebrate this momentous milestone, International Business Times spoke with those involved with “Barney & Friends” during the time Lovato and Gomez were on the show. IBT caught up with producer Linda Houston, director Fred Holmes, costume supervisor Ken Weber and hair stylist Julie Janes-Love, to find out what the girls were like as kids, how they became such great friends and what their best memories are with the kid versions of two of today’s biggest stars. While a sense of maturity was a part of what helped the “Princess Protection Program” actresses stand out, they also had to have other qualities to make it through auditions on that fateful audition day. Yes, that’s right, their singing started way before they hit the Disney Channel. Both Gomez and Lovato got their starts on the Texas-based children’s show, and really learned everything they needed to know to send their careers in the right direction and catapult them into what they’ve become now. “They learned how you open up to a camera, how to hit a mark, how to say your lines, how to do all of that,” Houston, who’s currently a production manager at CRM Studios, said. “It was rigorous and they learned a lot, and by the time they left the show, they were professionals, pretty much. But before they left the show after two years, they made their mark on both the program and those who helped put it together. They might’ve been young, but they were memorable and touched the hearts of all those around them. To this day, those that we spoke with still have such fond and distinct memories of working with them. 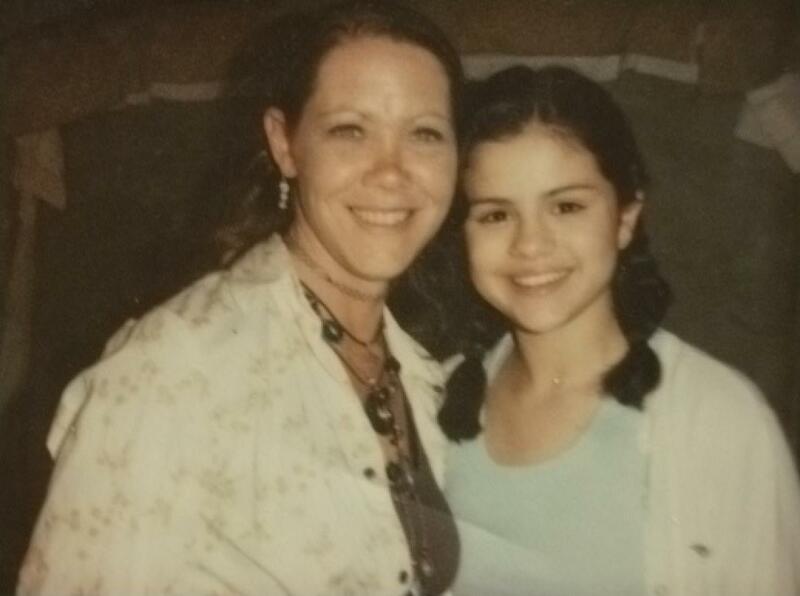 It’s easy to picture Gomez as this carefree young child who just wants to have fun and be herself, as she still holds those qualities today. And it seems like Lovato still has a few of the same qualities she did back then as well. “Demi was always smiling and we would corner Baby Bop and sing together the Barney song ‘If all the rain drops were lemon drops and gumdrops oh what a day that would be,’” Janes-Love, who owns the beauty salon “Julie Loves Hair,” in Texas, recalled. “I felt so goofy being a kid with Demi while opening our mouths pretending and imagining that the candy would just fall from the sky into our mouths. With the kids being so young and spending so much time on set, it makes sense that they would want to have fun and hang out with everyone. The two formed relationships not just with their hair stylist, but their costume supervisor and producer as well. Weber has a lot of memories of his time on set with these girls, as do the others IBT spoke with, even though it was from so long ago, because the girls’ first season on the show was a very interesting one. The show had just been sold to a new company, and as a result, the sets had to be redone and the cast had to be completely recast. That’s one of the reasons why they are able to better remember these girls and this specific portion of “Barney” history. It is also why Weber, who now owns a boutique called “Vintage Martini” in Dallas, is able to recall Gomez’s “beaming” and why he also easily remembers how gracious Lovato was. While Weber remembers what the girls were like in wardrobe and on the sides of set, Houston can’t help but think back at what the girls were like on the main set while acting. This jog down memory lane causes a specific memory of Gomez to come to mind for Houston. With the two of them being similarly kind and caring, while also different in how outgoing they were, it’s no wonder they became such good friends with each other during their time on the series. Janes-Love recalls seeing them “laughing together hysterically” all the time on set. They all admitted they are so proud of the women Gomez and Lovato have become, though they aren’t all that surprised. The thoughts of these former “Barney” crewmembers read like the ravest of reviews. In the end though, once a “Barney & Friends” member, always a “Barney & Friends” member. No matter how many albums or singles they come out with, their first televised songs will always be from their magical and memorable time on “Barney.” The show will always serve as the jumping off points for the humongous careers they’ve gone on to have, which has given the world some great music and fun shows and movies. That’s an anniversary worth celebrating for years to come.